Gyrinochelius aymonieri common name sucking loach. They can grow up to 28 cm / 11 inches fully grown. They live in water parameters of PH range 6.5-7.5 and temperatures of 20-30 Celsius / 68-86 °F. 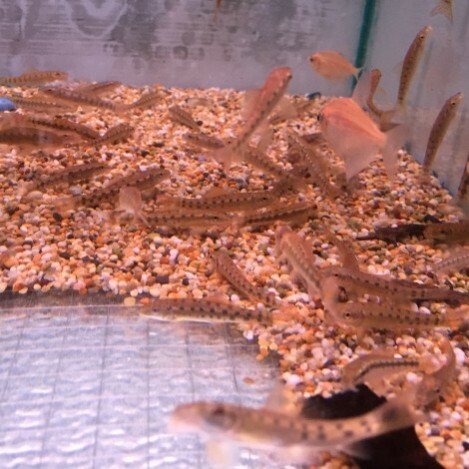 There are three different colours of sucking loach, the normal brown, golden, or a brown and gold colour. 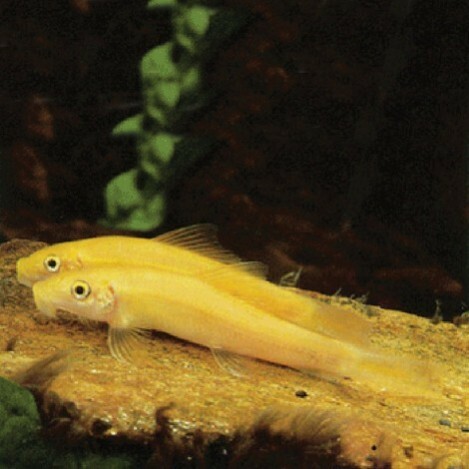 The sucking loach is a handy fish to have in your tank as they are very good algae eaters. However due to the size they can get, they can be a little boy stress. They can attach them selves on to fish sucking the mucus of the fishes bodies, and cause damage to the fish. So we would recommend mixing these in bigger tanks and keeping them well feed. They are fine on there own or in a small group. There main diet is algae but a good treat is lettuce, cucumber or courgette. 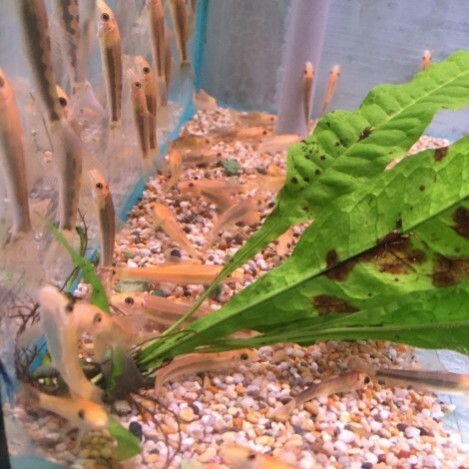 They can also eat plants and any other food that falls to the bottom of the tank. Sucking loach are an algae eating fish, they graze on the algae on your tank and ornaments through out the day. 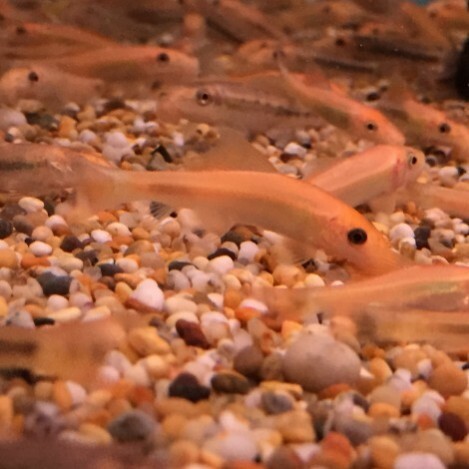 But they are a greedy fish so will eat anything that sinks to the bottom of the tank. Only feed them once a day at the most.